Kick off your visit on the 21st (Wed): get to know the fascinating history of The Royal Mile, then get a new perspective on nature at National Museum of Scotland, and then wander the streets of Edinburgh Old Town. Get ready for a full day of sightseeing on the next day: explore the historical opulence of Edinburgh Castle, then steep yourself in history at Grassmarket, then view the masterpieces at Urbane Art Gallery, and finally stop by Cranachan & Crowdie. To find other places to visit, reviews, and other tourist information, read Edinburgh tour planner. New Windsor, USA to Edinburgh is an approximately 18.5-hour flight. The time zone difference moving from Eastern Standard Time to Greenwich Mean Time is 5 hours. Traveling from New Windsor in June, expect Edinburgh to be slightly colder, temps between 62°F and 47°F. Finish up your sightseeing early on the 23rd (Fri) so you can catch the train to Glasgow. Kick off your visit on the 23rd (Fri): wander the streets of Buchanan Street, hike along West Highland Way, and then take a stroll through Glasgow West End. On the 24th (Sat), you'll have a packed day of sightseeing: admire the masterpieces at Kelvingrove Art Gallery and Museum, make a trip to The National Wallace Monument, and then take an in-depth tour of Stirling Castle. To see reviews, photos, other places to visit, and more tourist information, read Glasgow itinerary planner. Traveling by train from Edinburgh to Glasgow takes an hour. Alternatively, you can drive; or take a bus. Expect a daytime high around 63°F in June, and nighttime lows around 49°F. Finish your sightseeing early on the 25th (Sun) to allow enough time to travel to London. Do some cultural sightseeing at Shakespeare's Globe and Buckingham Palace. Get in touch with nature at Camber Sands and The Big Cat Sanctuary. Explore the numerous day-trip ideas around London: Hawk Conservancy Trust (in Andover), Imperial Bird of Prey Academy (in Billericay) and Boydells Dairy Farm (in Wethersfield). The adventure continues: learn more about the world around you at Natural History Museum, contemplate the long history of Tower of London, take in the exciting artwork at Saatchi Gallery, and admire the masterpieces at Victoria and Albert Museum. To see photos, ratings, where to stay, and other tourist information, read our London sightseeing planner. You can do a combination of flight and train from Glasgow to London in 3 hours. Other options are to take a train; or drive. Plan for a bit warmer temperatures traveling from Glasgow in June, with highs in London at 69°F and lows at 55°F. Wrap up your sightseeing by early afternoon on the 7th (Fri) to allow time for travel to Reykjavik. 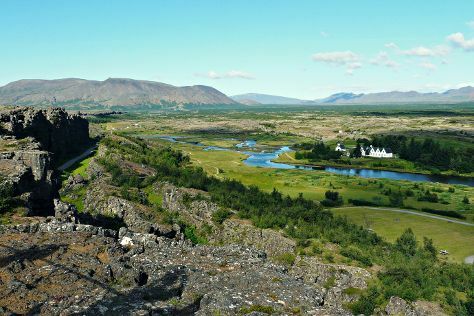 Start off your visit on the 8th (Sat): explore the wealth of natural beauty at Thingvellir National Park. On the 9th (Sun), you'll have a packed day of sightseeing: enjoy the sand and surf at Nautholsvik Geothermal Beach, then get engrossed in the history at National Museum of Iceland, and then look for gifts at 12 Tonar. To see maps, traveler tips, ratings, and tourist information, you can read our Reykjavik sightseeing planner. You can do a combination of train, flight, and bus from London to Reykjavik in 6.5 hours. Plan for a bit cooler temperatures traveling from London in July, with highs in Reykjavik at 58°F and lows at 49°F. Cap off your sightseeing on the 10th (Mon) early enough to travel to New York City. 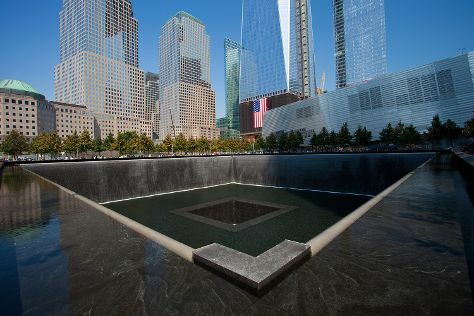 On the 10th (Mon), see the interesting displays at 9/11 Memorial. For reviews, where to stay, more things to do, and more tourist information, use the New York City vacation trip planner. Explore your travel options from Reykjavik to New York City with the Route module. The time zone changes from Greenwich Mean Time to Eastern Standard Time, which is usually a -5 hour difference. Prepare for much warmer weather when traveling from Reykjavik in July: high temperatures in New York City hover around 86°F and lows are around 73°F. Finish your sightseeing early on the 11th (Tue) to allow enough time to travel back home.